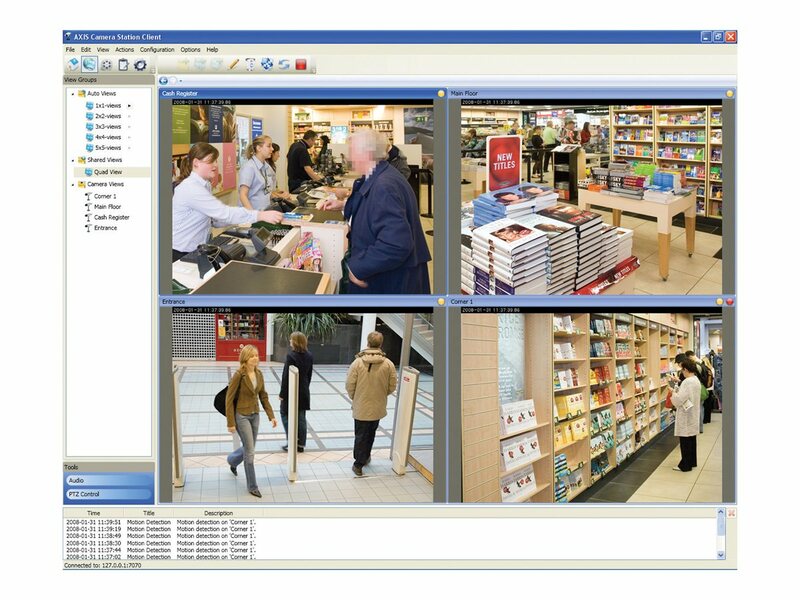 AXIS Camera Station is the ideal solution to meet the needs for efficient surveillance of small- and midsized installations, such as retail shops, hotels, schools and manufacturing sites – a proven solution with more than 50,000 installations worldwide. It is designed to perfectly match Axis’ wide range of network video products and product features to optimize system reliability. A setup wizard with automatic camera discovery guides you through every step of the setup process. This allows the system to be up and running within minutes. AXIS Camera Station is developed with focus on ease of use and intuitive operation, ensuring that anyone can effectively manage incidents and quickly export high definition evidence. AXIS Camera Station allows the user to add useful functionality for audio-visual identification and remote entry control. 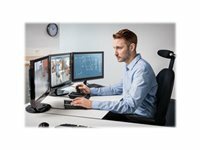 AXIS Camera Station software is an easy and efficient software for active operation including support for multiple screens and joystick control. The AXIS Camera Station server is optimized to handle large amount of high definition video recordings. 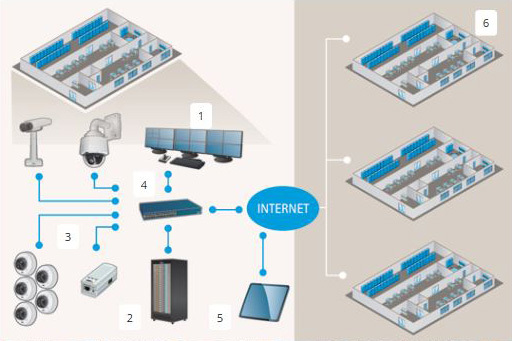 AXIS Camera Station perfectly matches Axis’ wide range of network products and product features, such as 360º overview recording with client de-warping, Multi-view streaming and Axis Corridor format. The Power Over Ethernet (PoE) Switch provides power to the cameras over the network. Support for Uninterruptible Power Supply (UPS) will safeguard system uptime even if there is a power failure. AXIS Camera Station allows you to manage your Axis network video products in an efficient way enabling remote viewing and control from anywhere on the corporate network or the Internet. AXIS Camera Station and Axis network cameras can be installed on several dispersed sites. Management and operation of all sites can be done from any AXIS Camera Station client in the system.